Dr María Rosa Mosquera-Losada is Professor at the University of Santiago de Compostela, Spain. Professor Mosquera-Losada is President of the European Agroforestry Federation (EURAF) and one of the Work Package Leaders for the major EU AGFORWARD Project. Dr Ravi Prabhu is Deputy Director General (Research) at the World Agroforestry Centre (ICRAF) in Kenya. Dr Prabhu was previously Senior Programme Officer for Forests and Climate Change at the United Nations Environment Programme (UNEP). Agroforestry seeks to balance protection of forest resources, the exploitation of the ecosystem services that trees can contribute to agriculture and the role of agroforestry in diversifying the range of agricultural products and markets. This volume reviews the latest research on the role and implementation of main types of agroforestry, understanding and assessing the ecosystem services that agroforestry can deliver and techniques for optimising agroforestry practice. The book's main focus is on temperate agroforestry, but also reviews particular issues facing agroforestry in the tropics. 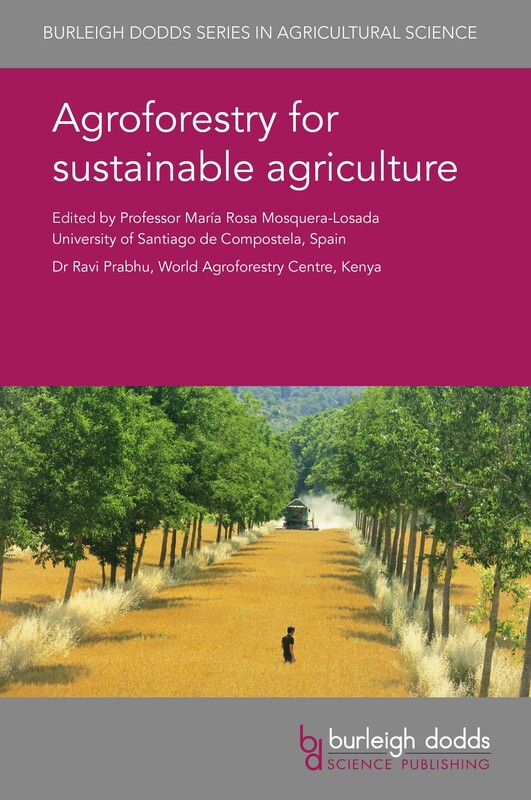 "Based on the breadth of topics covered and the experience and expertise of the distinguished editors and contributing authors, this book promises to be a substantial addition to the growing body of knowledge on agroforestry and a valuable reference material for all interested in the subject." P. K. Ramachandran Nair, Distinguished Professor, University of Florida, USA; co-founder of ICRAF.